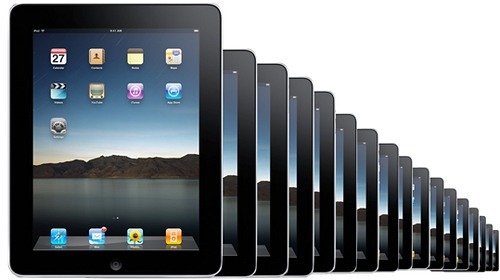 Is the New iPad 3 Really Worth that much more than the 2nd Generation Model? We've all heard how the new IPad, sometimes called the iPad 3, represents everything we ever wanted. But when it comes to day-to-day use maybe there are some "issues".
. Yes, I know: thirty is not that many. But this is a dynamic market. As these sell, so they are replaced by others. And besides, I do recall, in a past life filled with rather too many coating statistics from satisfaction surveys, that I used to preach hard that a figure of more than twenty was pretty difficult to ignore. So what might it be that leaves people selling on their iPad 3s after five minutes - or to be more accurate, three months? Well, they might have bought the wrong model - but maybe you would expect the wonderful Apple stores to fix that one. Another possibility is that recession really is biting and people are selling off their most valuable gadgets as a pretty ready source of cash. Possible, but we should also consider the possibility that there is an actual issue with the gadget itself. So, with that marvelous display looking so lovely, my suspicion is that it's the power it consumes that's the issue. This power is enough to warm up the screen noticeably - in fact, for an oldy like me, who spends plenty of time taking on and off the glasses, it's this warm screen that is the easiest way to tell the two models apart in the Apple shop. The new larger battery achieves 12.8 hours of video playback compared with 14.2 hours for the old one - a reduction of 1.4 hours (around 10%). Added to that, it takes longer to charge and, if you plug in your shiny new model - and expect to use it at the same time, it hardly charges at all. During this charge-and-use process it gets even hotter. Put more in user-speak, it's significantly more likely that the new model won't last all day on a single charge. So, in my humble opinion, if there is a real problem with the fondleslab, this is it. There is a secondary issue with storage space on the new machine. Those beautiful high resolution pictures - the ones it comes with and the ones you take yourself or download, are all much larger than the old low-res ones. You won't get as many images out of 32Gb as you did. So if you're considering splashing out, think carefully. That fabulous screen really is the main selling point. If you, like me, struggle to see the difference between the new and the old screens in the Apple shop, you should think very carefully before spending your money.